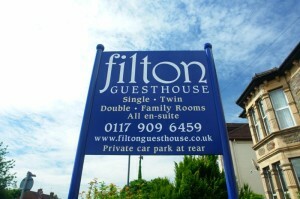 Filton Guest has attractively furnished bedrooms comprising single, double, twin, triple and lager family rooms. 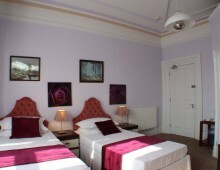 All rooms have en-suite, freeview television, tea and coffee making facilities, hair dryer, and free internet access via RJ45 sockets in the rooms and Wi-Fi throughout the building. 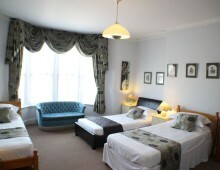 We require accommodation to be paid for on arrival in cash or in debit cards. We accept bank faster payment before arrival. In order to secure your booking we take credit card details or take a deposit. If cancellation takes place within 2 days of your arrival and we are unable to re-let the room[s], the accommodation cancelled could be charged in full. This also applies if the booked period is shortened. Please note that deposit is not refundable. Rooms are normally available after 4pm but earlier access is available by prior arrangement and £10 will chargeable before 4Pm. New arrivals are expected to check in before 10pm unless prior arrangements have been made and no later than 0:30 am as: £15 to cover staff night shift before 23:59pm, then £20 will chargeable before 0:30AM. On the day of departure, all guest are requested to vacate their rooms by 10:30Am. If you wish to extend your stay please let us know, a £15/room per extension charge will chargeable before 12:30 noon. Then £10 per hour extension chargeable before 2:30Pm. Please note we are completely non-smoking hotel. 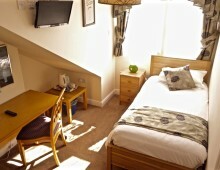 Anyone found to be smoking in the bedrooms with be charged £100 each time for professional cleaning. There is a smoking area at the side of the hotel. 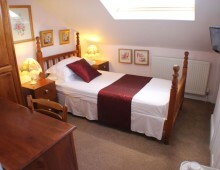 Bedrooms and en-suite cleaned daily, bedding changed weekly, and between each stay. If you want to have extra bedding etc or specific request, please just ask us. 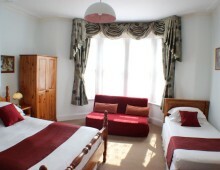 Toiletries are not provided in the room but are available at request free of charge e.g. shampoo, shower gel, shower cap and hand soap. Please note we have very powerful water pressure through out our hotel for sprinkle system. So be carefully when you take a shower to make sure you are not washed away! Please note we have standard size of pipe for drainage. So take comfortable water running level then you will not feel drainage slow. 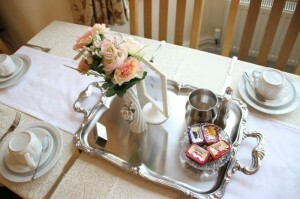 Iron and ironing boards are available upon request at dining room area. Subject to availability. The Guest House cannot accept liability for valuables unless they are deposited in our deposit boxes. We have a private car park with sufficient space for all guests. Access from rear of the property (you cannot enter the car park directly from the front/A38 side of the property). 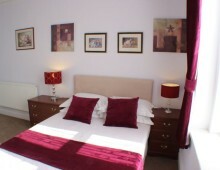 We have additional sets of keys for triple room 3 and family room 4, these keys are available at request free of charge. Lost keys are charged £50 per set to cover lock replacement. Any soiling to soft furnishings, carpets or towels from alcohol, coffee, food or other chemical, could be charged £50 to cover special cleaning or total cost of replacement. Items missing or damaged could be charged for replacement.